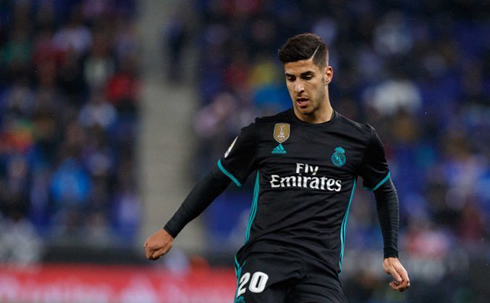 With Cristiano Ronaldo resting and several usual starters either benched or still recovering from injury, Real Madrid left the Cornella with a 1-0 loss in the bag. The Merengues have their mind in the Champions League and that's all that matters for the rest of the season. Well, not much of a surprise given how this season has gone. Despite the turnaround, we've seen from the club this year, today's match at Espanyol was reminiscent of the first half of the season. 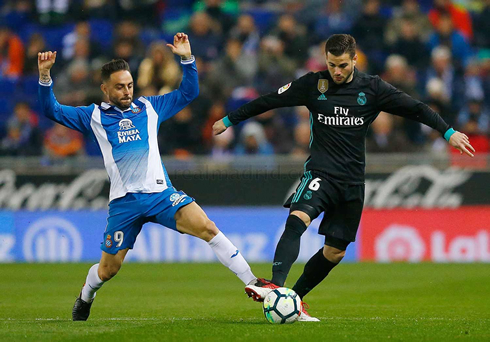 Real Madrid ended the match goalless and the plucky home side finished them off in the final minute as Gerard Moreno scored in stoppage time to get an admittedly well-deserved win: Espanyol 1, Real Madrid 0. With Madrid's focus solely on the Champions League at this point, these matches in La Liga have served more of a confidence-building exercise than any serious threat for the title. At this point, the squad must have realized that the domestic campaign is long gone. 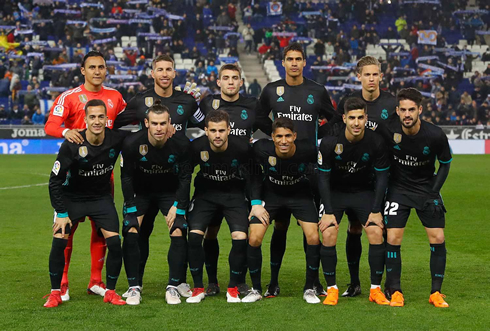 Cristiano Ronaldo didn't even make the trip today and with Modric and Kroos out, the team lacked any bite in the center of the park. Zidane's questionable decision to leave Bale in a center forward position backfired heavily, as the Welshman was unable to find any space to be effective. Isco was again just such a disappointment compared to the player he was at this point last season, over-dribbling and too indecisive. His unwillingness, or perhaps even his inability to consistently move the ball quickly is becoming a detriment to the team week after week. Defensively we were under pressure for the majority of the game and if not for Navas and a lucky call that went our way, we would have already been down before the final minute of the match. In fact, that's what makes the loss almost more digestible, we truly didn't deserve to win. We play Getafe on the weekend and then it's off to Paris for the biggest match of the season. And it looks like Neymar is out of that due to an ankle injury. Cristiano Ronaldo next game for Real Madrid is on March 3 of 2018 against Getafe. You can watch Juventus live stream, Real Madrid vs Getafe, Athletic vs Valencia, Juventus vs Atalanta, Tottenham vs Rochdale, and PSG vs Marseille, all matches provided from our live sport game pages.